The campaign actually threatened to shut the club down. Hillary Clinton’s campaign thought it was okay to order a comedy club not to make fun of her, which is obviously a totally normal thing to do. That is, if this were China. In case you haven’t heard, Hollywood’s Laugh Factory posted a three-minute video of comedians telling jokes about Hillary Clinton on its website. Yes . . . comedians making fun of a public figure. How outrageous! And by outrageous, I mean something that any presidential candidate should not just accept but expect because that’s the way it works. But apparently, the way the world normally works just doesn’t apply when you’re Hillary Clinton — because her campaign called the club demanding that it take the video down and give them the personal contact information of every single comic who appeared in it. I mean, what in the hell did the campaign plan to do with that? Call them and tell them they were mean? Threaten to end their careers? What possible reason could her campaign have for wanting that information, and what possible reason could they have for thinking they had any right to ask for it in the first place? It gets worse: Club owner Jamie Masada reports that the campaign actually threatened to put the club out of business if he did not heed their demands. There is only one reaction appropriate here, and that is: Holy. S***. #share#The Left has been writing off any suggestion that the Clintons may have threatened potential competition out of the race as crazy talk, but with this revelation, you’d have to be crazy to not at least consider it. After all, if this is how her campaign reacts to comedians making fun of her, how might it have reacted to someone actually threatening her nomination? The freedom to make fun of and openly criticize our political leaders isn’t just a luxury, it’s an important part of our political system. Given that Hillary has had decades of political experience in this country, one would think that she’d know about the whole First Amendment thing by now. The freedom to make fun of and openly criticize our political leaders isn’t just a luxury, it’s an important part of our political system. It’s a crucial check on the power of our politicians that helps prevent them from getting to do whatever the hell they want. Of course, Hillary does know all of this. It’s just that she doesn’t care, because getting to do whatever the hell she wants is exactly what she expects as a leader. It’s nothing short of terrifying, and what’s especially terrifying is that she had the guts to do this as a presidential candidate. What kind of things would she do if she had the power of an actual president? #related#Hillary, if you cannot handle being made fun of without resorting to these threats, you cannot be president. That’s not only because it displays a level of personal weakness that would be unacceptable for the leader of the free world, but also because it conveys that you think your own feelings are more important than the existence of that free world itself. If you think I’m overreacting, fine. But it’s nowhere near the kind of overreaction that her campaign displayed by demanding that comedians don’t make fun of a public figure just because that public figure is her. Oh, and by the way, campaign people: I realize I’ve made fun of Hillary here. 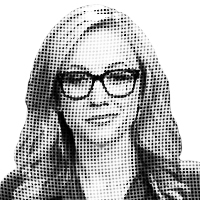 If you need my contact information, my email is ktimpf@nationalreview.com. As for my phone number, I’d rather give it to Donald Trump.